Neck pain isn’t anything to be taken lightly. Sleeping in an awkward position or staring at a computer screen for 8 hours a day can leave your neck strained. Neck pain isn’t anything you should live with every day, though. 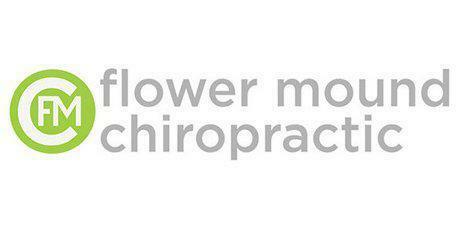 Dr. Ponomarenko and his specialized team at Flower Mound Chiropractic in Flower Mound, Texas, can figure out what’s causing your neck pain and nix it, often without the use of drugs or surgical treatments. Are there more serious causes of neck pain? Yes. While less common, in some cases, neck pain can stem from a medical condition. For example, fibromyalgia, a syndrome that leads to long-term, widespread pain, can be the cause of neck pain. A spine fracture from a deteriorating condition such as osteoporosis may be to blame as well. Sprains, infections, cysts, and arthritis, could contribute to any pain you may experience in your neck. In even less common circumstances, spinal cancer can lead to uncomfortable neck issues. Can I do exercises at home to relieve neck pain? Yes. When combined with routine chiropractic adjustments, at-home exercises can help minimize any pain associated with your neck. Slow range-of-motion exercises, such as moving your head from side to side, and from ear to ear, might help relieve any strain in your neck. Because neck pain can stem from an underlying medical condition, avoid doing any exercises until you get a thorough examination. Should I be concerned if I have neck pain? Typically, no. Most minor neck issues can be resolved with spinal manipulations or massage therapy. During your exam, talk with Dr. Ponomarenko if you have numbness or tingling in your limbs, swollen glands, poor balance, or if your pain is so severe that you have trouble controlling your bladder or bowels. In some cases, these could be warning signs of an infection or something more severe that requires immediate care. If you also experience a sudden headache, have a high fever, and if you can’t get your chin to touch your chest, it’s time to seek immediate medical attention. These could be warning signs of meningitis, a dangerous bacterial infection.